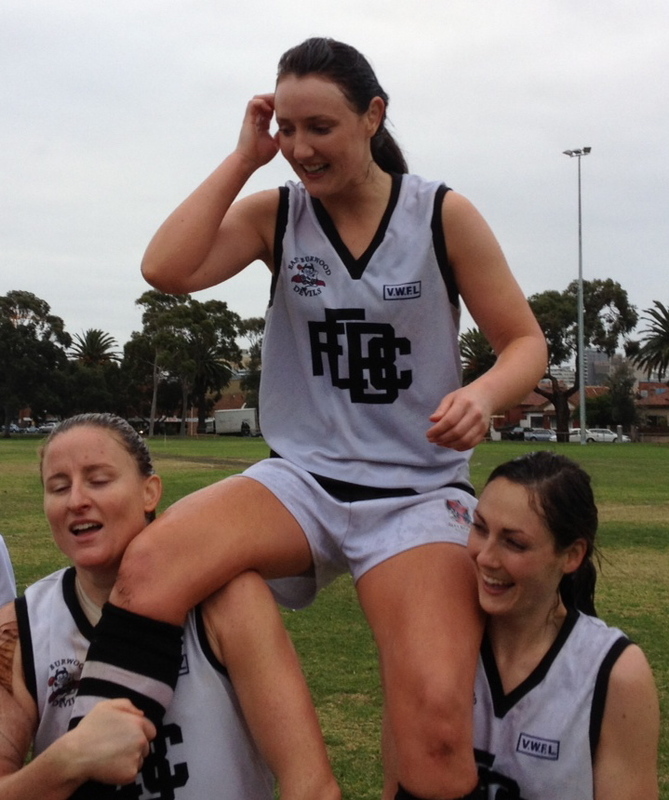 Katie “Cashews” Eshuys brought up her 100th game for the Devils with a resounding win against St Kilda last Sunday. A member of the Devils Team of the Decade in 2008 she is a consistent performer who uses her smarts to find plenty of the ball while patrolling the wing. Head to the Milestone gallery to check out all the pictures.